Flair is a professional, responsive retina ready WordPress Theme which has been built using Bootstrap 3. 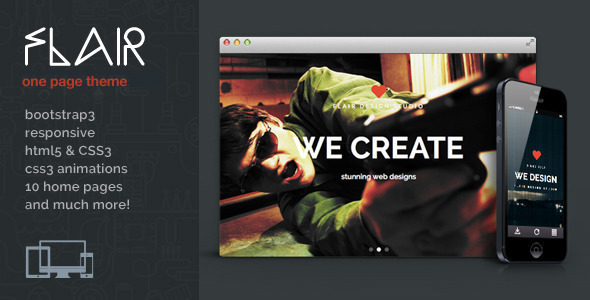 The theme comes complete with ten home page styles, premium plugins – Cube Portfolio and Royal Preloader. Full demo data and a one-click installer are both included in Flair, a fully localised .po file is also ready for you to translate the theme to any language.